Saplings from a kaki tree, which survived the Nagasaki atomic bombing on 9th August 1945, were produced by Mr. Masayuki Ebinuma, an arborist. We seek children who plant and grow the saplings in Japan and abroad. For those who wish to grow the sapling(s), please do the following. Organize the “Meet the KAKI” tree planting ceremony with children and your community. Hold workshops and events on the theme of peace with children at the tree planting ceremony (in any style with any contents). Organize the “Think Peace Day” event on the planting anniversary to continue study sessions on peace. Organize “The Harvest of KAKI” event 10 years after planting to celebrate the growth of the tree(s) and children. from within Japan is 30th September, every year. 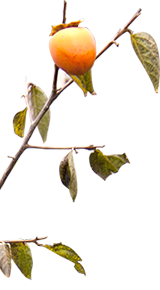 Those who wish to plant the kaki tree, please apply using the application form. If you have problems filling out the form, please print and complete the Application Form PDF, and send it by postal mail.If there are too many applications, the Executive Committee will decide next year’s planting sites and inform you.